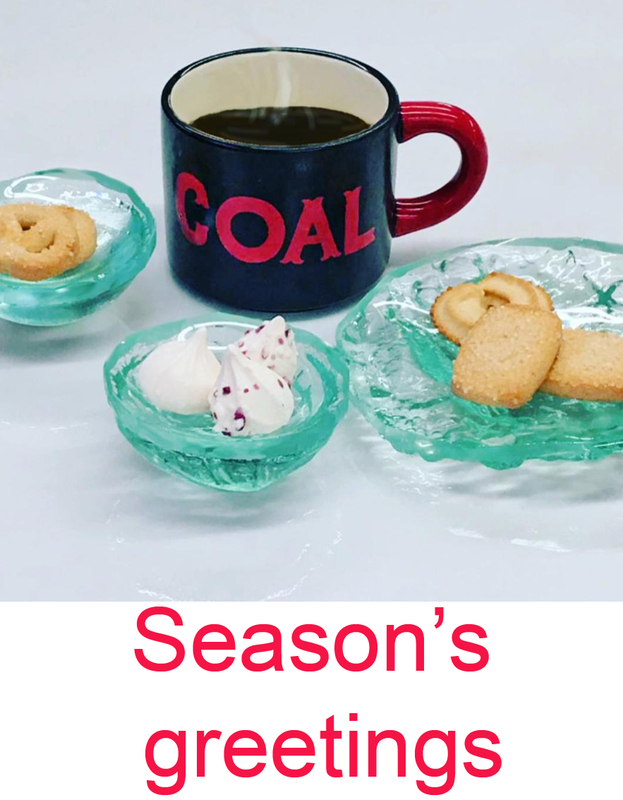 Wishing all a joyous holiday season and a New Year of health, happiness, prosperity and love! 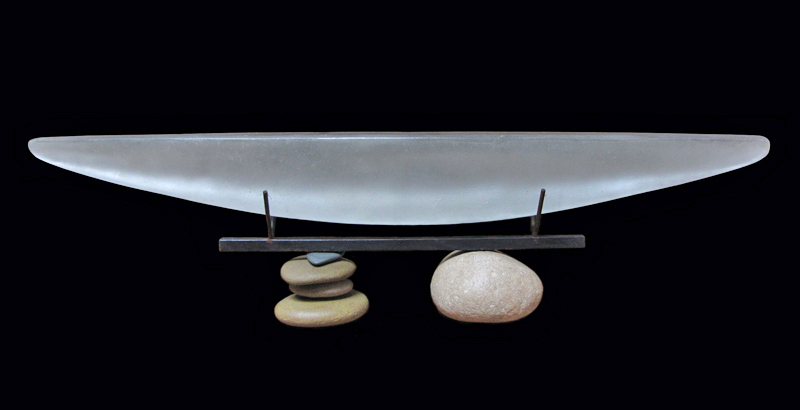 Veta Carney, “Max”, mixed media, cast glass. Photo by Pete Duvall. 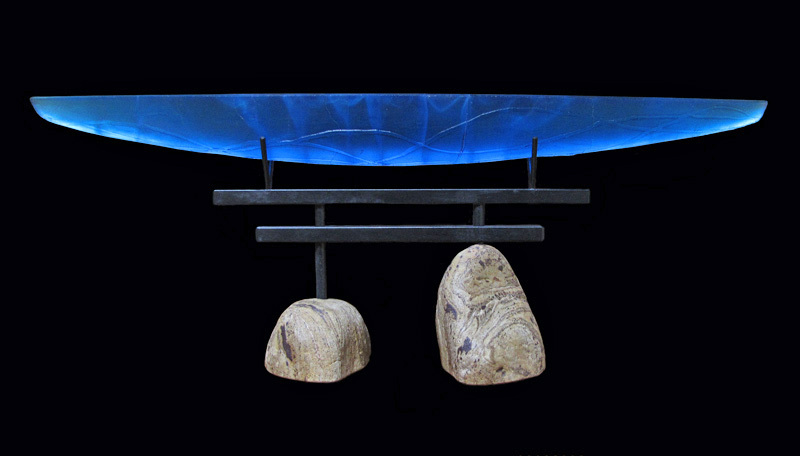 The Workhouse Arts Center is proud to announce its 3rd Annual Glass National exhibition. 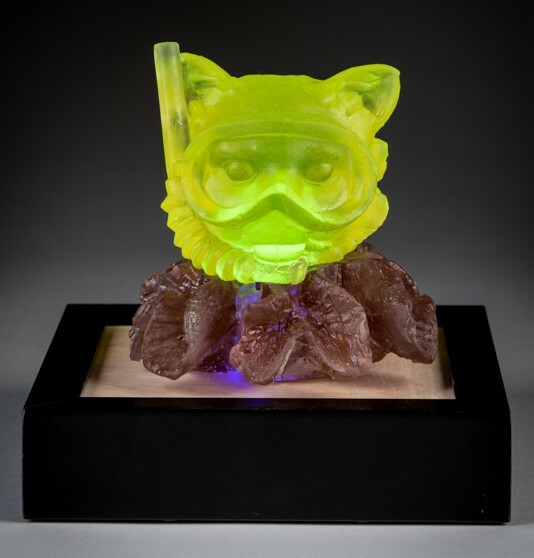 Glass National is a juried exhibition which promotes and displays the breadth of contemporary glass artwork being created throughout the USA and Canada by highlighting both functional and sculptural works. This year’s juror was installation, video and glass artist, Charlotte Potter. 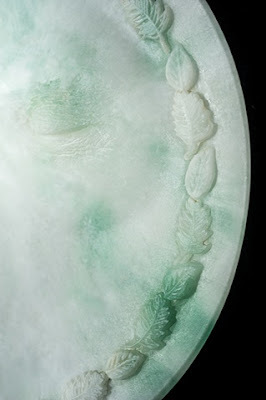 Charlotte Potter has focused the field of performance glass in her work as the Glass Studio Manager and Programming Director at the Chrysler Museum of Art in Norfolk, VA. An avid educator, Potter is the mentor of the Chrysler Museum Glass Studio Assistantship program and has taught glass and new media courses at Penland School of Crafts and Oxbow. The Workhouse Arts Center in Lornton, VA, announces their 2nd annual Fine Arts Festival with more than 150 of the nation’s best artists. 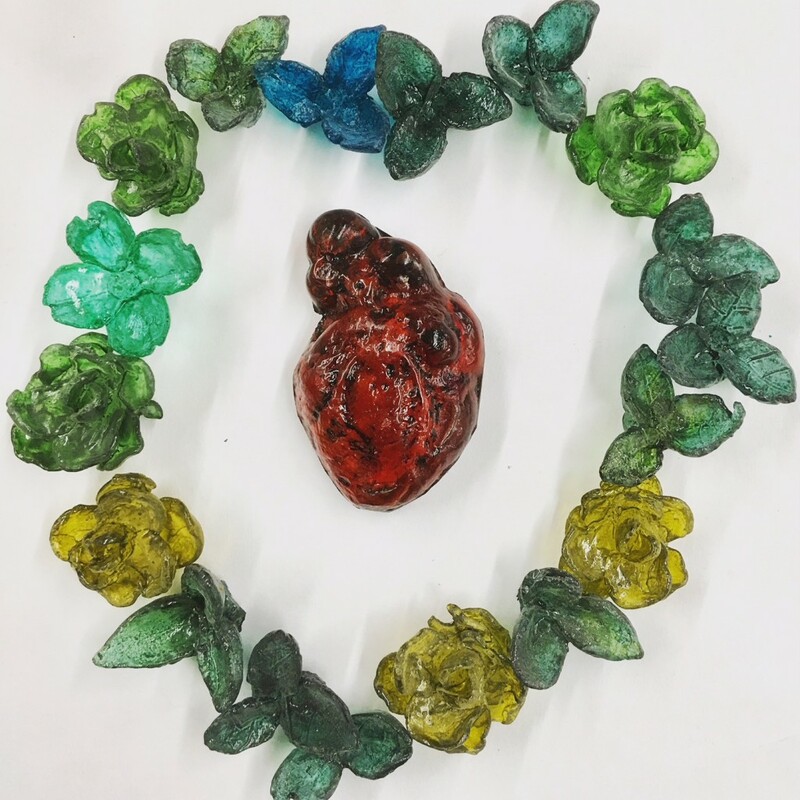 The fair is for 2 days only, at the Workhouse Arts Center in the heart of Northern Virginia – 20 minutes south of Washington D.C.
Look for exciting new cast glass/mixed media artworks by WGS artist Syl Mathis to be featured at the art fair! On Saturday from 12-3p explore the annual education open house with a variety of demos, performances, and hands on activities. The festival will be held rain or shine. The James Renwick Alliance (JRA) is committed to advancing scholarship, education and an appreciation of craft art as well as promoting individual achievements of excellence and innovation in craft. The JRA’s mission is to promote education, support and appreciation of craft. Each year, the JRA sponsors its Distinguished Artist Series, where craft artists prominent in their fields conduct workshops and give lectures. Each of the “Distinguished Artist” weekends include a workshop and the artist presents their work in the newly renovated Grand Salon at the Smithsonian Renwick Gallery. 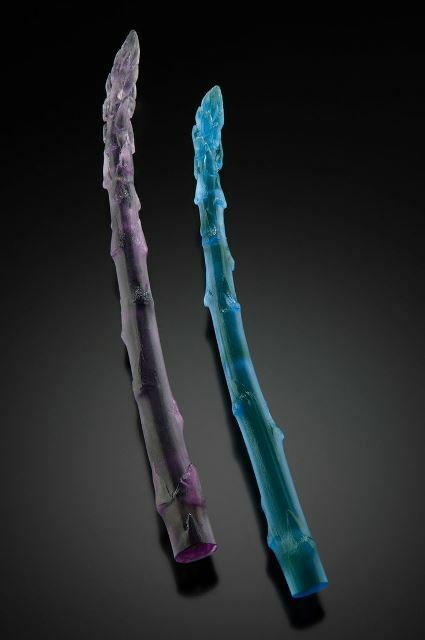 On June 4th & 5th, Donald Friedlich will present and talk about his innovative contemporary jewelry that incorporates cast glass. Donald Friedlich has been an innovative jeweler for over 40 years. Lauded for his stark, designerly forms and, most recently, for his luminous jewelry pieces in glass and gold, his work can be found in the collections of London’s Victoria and Albert Museum, the Smithsonian American Art Museum and the Corning Museum of Glass. 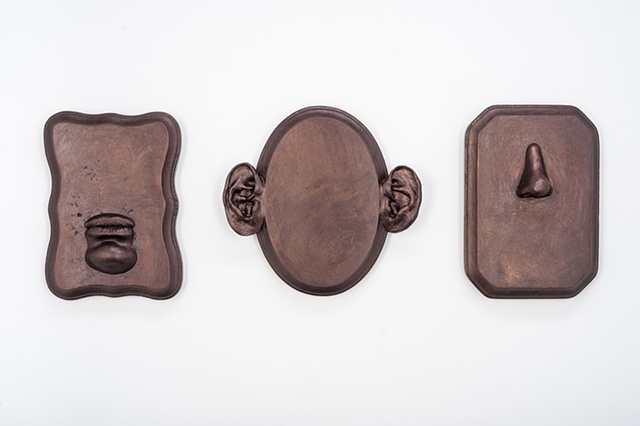 Don’s work involves a wide array of techniques in this new jewelry – including artwork inspired by food, which combines four of his passions: food, humor, glass and jewelry. He literally is doing “lost celery casting” and “lost asparagus casting”. By casting these mundane materials in glass Don hopes that the viewer will see them in a new light and realize what beautiful forms they are. Some of the other designs are press molded and are in line with his recent series inspired by water and geometry. The Sunday, June 5th lecture is free and open to the public and will take place from 2:00pm – 3:00pm in the newly renovated Grand Salon at the Renwick Gallery. 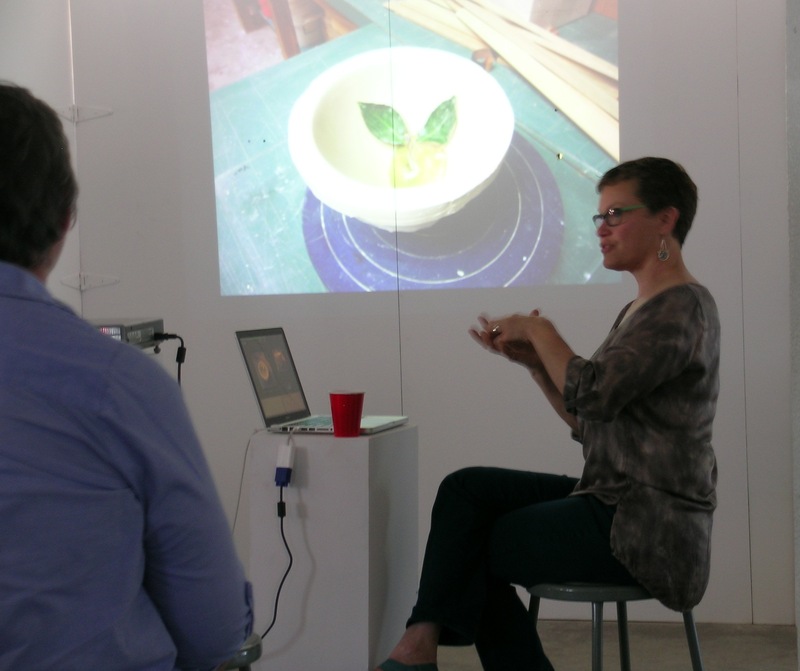 Debra Ruzinsky talks about the glass work of David Reekie. 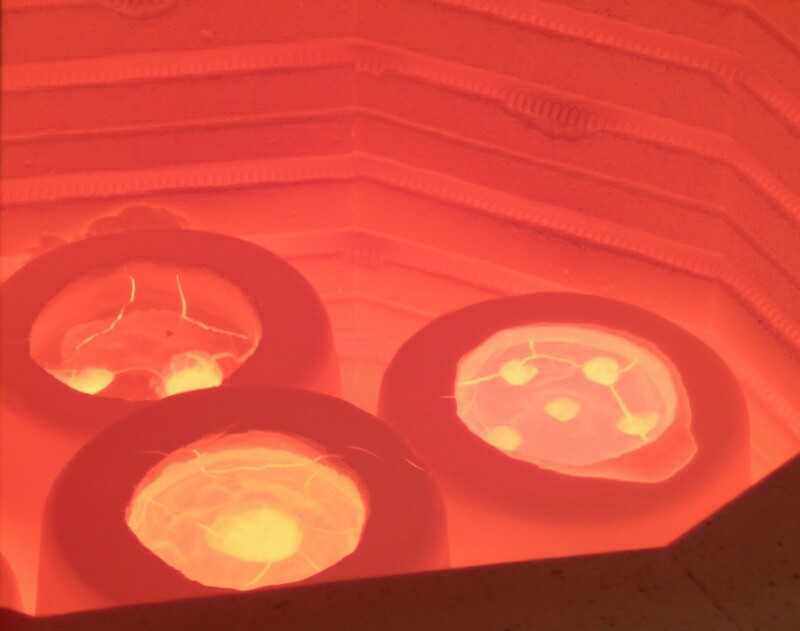 Debra Ruzinsky presented a lecture this weekend at the Washington Glass School on the topic of kiln casting. 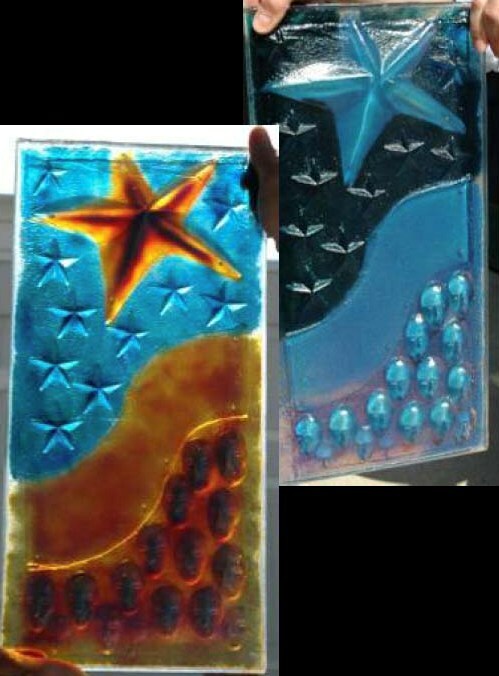 In her history of studying and teaching around the world gave her heaps of images of world famous glass artists process’ and how they approach mold making, and kiln set-up. Deb went into detail of how the molds and intricate details were formed and about long annealing schedules. The class loved the opportunity to get the knowledge of the various techniques, and stayed after to chat. Debra’s background in glass and her personal history in art provided a fascinating topic for the after-talk… some of these shocking revelations will be part of some future posts! With the success of Debra Ruzinsky’s lecture this past October on the Untold History of Studio Glass – This Saturday, May 31st, is the next installment of glass knowledge! An exploration of the symbiotic relationship between technique and conceptual thinking as seen through the work of contemporary glass casters. Slide discussion of artists who focus on cast glass, with an inside look into the techniques they’ve developed to produce their work. The talk will be presented with lots of images and there will be time for discussions. 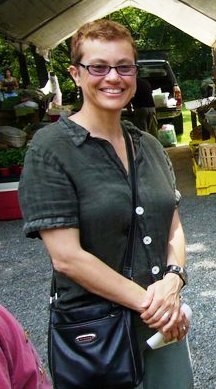 Speaker: Debra Ruzinsky. Deb received her BA in Design from the University of California at Los Angeles, and her MFA in Glass Sculpture from RIT. 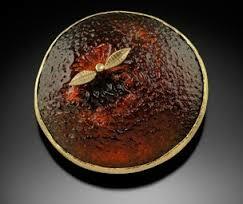 She has been working in glass since 1982. She serves on the publications committee of the Glass Art Society, and was Visiting Asst. Professor of Glass at RIT for the 2008-2009 academic calendar year, and has been a visiting lecturer to the Virginia Commonwealth University’s Glass Program. Her work is part of the collection of the Seto City Museum in Seto, Japan, and the Glasmuseet Ebeltoft in Denmark, as well as the RIT Wallace Library Collection. Concept sketch showing abstracted US flag in the glass verticals. Rendering of art glass wall. 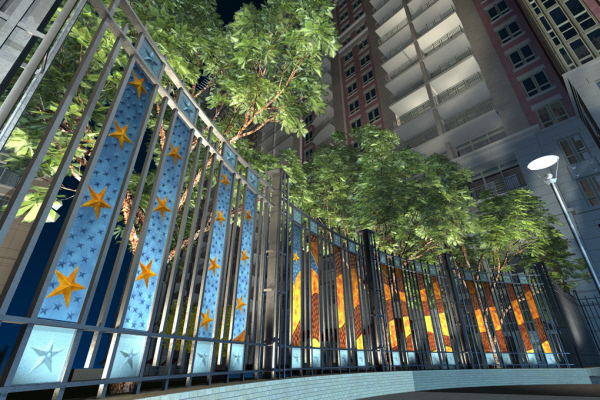 Way back in the mists of time, (in 2005), the Washington Glass Studio developed a public artwork proposal for a park being created in a new mixed used development in Virginia. In honor of the 4th of July, the underlying themes of the project make this a suitable blog subject. The original proposal was to create a wall of glass, with each cast glass segment combining to create an abstracted image of the USA flag. Color-shifting glass was proposed – and would make the artwork different based on the light in the day or at night. The stripes of the abstract flag would be made up of many faces – a metaphor of “Out of many, one” (E pluribus unum). The wall of glass separated the private parkland area from the commercial/retail area. The artwork had to define the zones, yet allow visual contact between. Lighting effects were also planned to make the most of the color-shift glass. 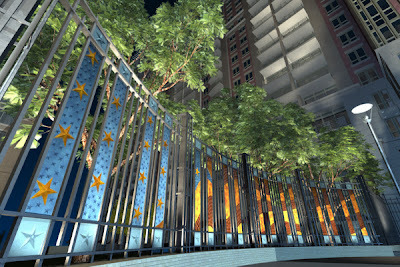 The proposed artwork would look different from daytime to night. A number of design changes took place, and the project did not proceed in this form. Perhaps someday…! 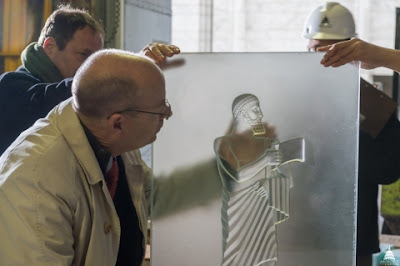 The AOC inspects the cast glass interpretation of the ‘Cadmus‘ sculpture maded from the original bronze doors of the Library of Congress. Cadmus was credited by the ancient Greeks with introducing the original Alphabet or Phoenician alphabet. The US Architect of the Capitol (AOC) is responsible to the United States Congress and the Supreme Court for the maintenance, operation, development and preservation of 17.4 million square feet of buildings and more than 460 acres of land throughout Capitol Hill. The AOC also provides professional expertise on the preservation of architectural and artistic elements entrusted to its care, and provides recommendations concerning design, construction and maintenance of the facilities and grounds. The AOC blogs about the new cast glass doors for the Library of Congress, now being installed. The original doors, designed by noted American artist, Lee Lawrie in 1938, feature high-relief sculptures of (mythical and real) world figures that have contributed to the written word and communication. Click HERE to jump to the US AOC blog post.